¡Feliz viernes a todo el mundo! Hoy os traigo el último post de Paris Fashion Week Street Style. En esta ocasión, nos centramos en colores, texturas y patrones que nos parecieron super inspiradores. Ya nos diréis cuál o cuáles son vuestros looks favoritos. Un besazo y a disfrutar el fin de semana. Happy Friday everyone! 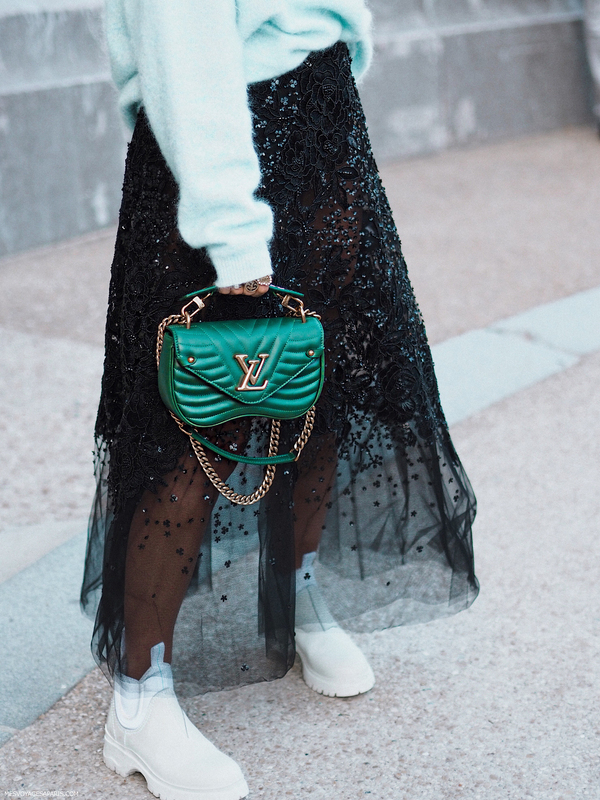 Today I bring you the last post from Paris Fashion Week Street Style. 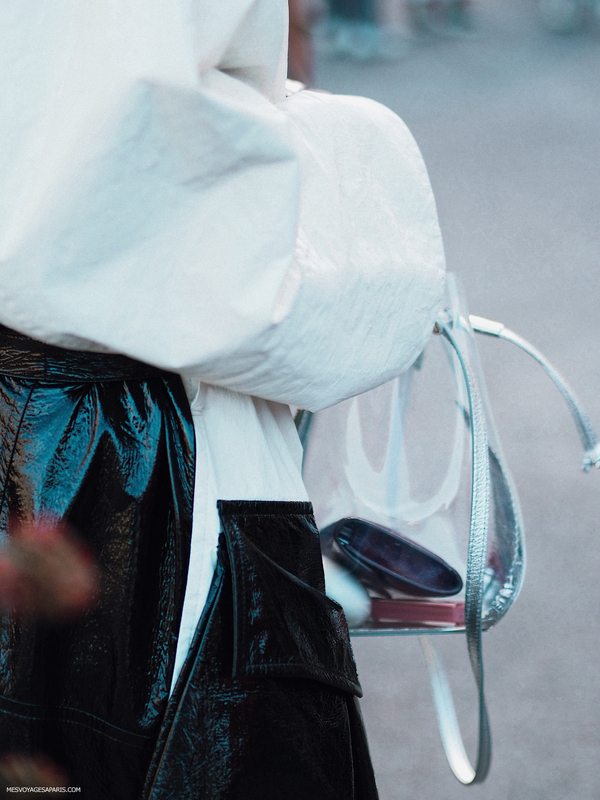 This time, our cameras captured bright colors, textures and shapes that are so inspiring. Let us know which one or which ones are your favorites! Big kisses and have a lovely weekend. Exacto…! Besazo e igualmente, feliz fin de semana!! Muchas gracias Bárbara! Nos encanta hacer este tipo de fotos… desde 2010 hahaha! Besito! Fantásticas fotos un día más y espectacular las dos primeras como combinan los azules. Oh my gosh SO many gorgeous, stylish looks! 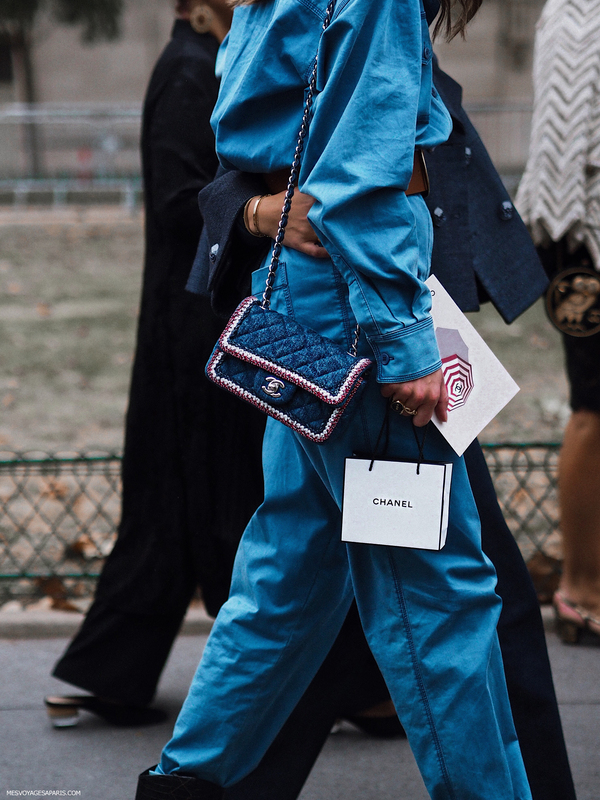 Although, I have to admit my eyes kept bouncing back to that Chanel in the first image, talk about dreamy…. Yes, they are amazing, specially the look with that Chanel bag, yeah!! Thanks Gabrielle! Love all the monochromatic looks! Amazing street style here. I’m happy that you loved the looks Rita! Bisous! These are all such interesting styles. I like the diversity. I love that too! Thanks Kathrin! Happy you loved them, we totally loved them in Paris! Personally I love the black skirt! That skirt is amazing! 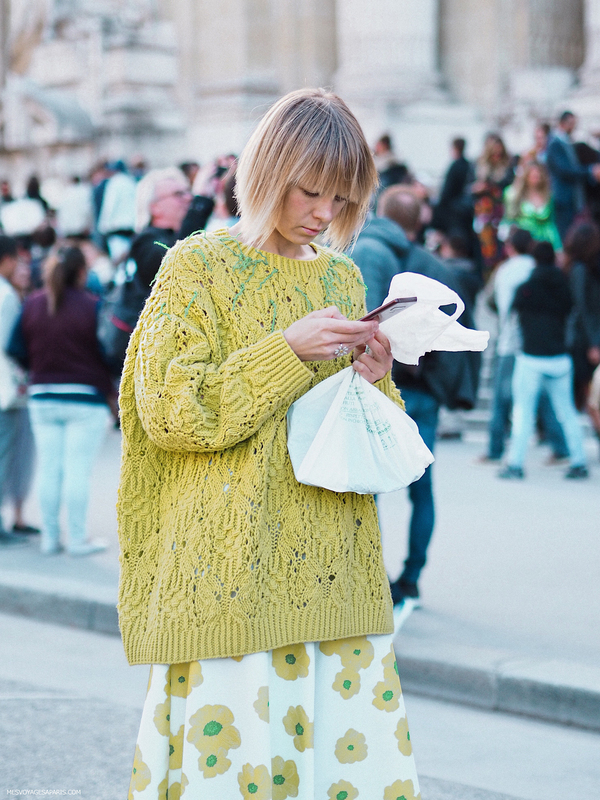 And love how she mixed it with that jumper! Kisses from LA babe!! So stunning and inspiring. I love seeing the street style at fashion week. So happy to inspire you babe!! All these styles are very beautiful especially the first one with fringe. So in love with all the fantastic and creative looks! Thanks a lot for sharing! Me alegra que te gusten las fotos, a nosotros nos encanta hacerlas y compartirlas con vosotros!! Besitos!